Most people deal with death only sporadically. You may be uncertain about what to do when someone close to you passes away. There are a few things that you can do relieve any awkwardness you may feel. Click on the questions below to reveal their answers. It is appropriate to visit at home when someone passes away. Traditions include bringing food, providing child care, or running errands, all which can be very helpful to the family. Click on the questions below to display answer. When is an appropriate time to visit, and how long should I stay? Frequently, it is best to avoid visiting early in the morning or late in the evening. Also, one probably should avoid visiting in the hours before any funeral services. A quarter of an hour is a good length for a visit, more can seem overwhelming. Who should visit the home? Anyone can visit the home, but you may feel more comfortable attending the visitation / family night if you are a distant friend. Bringing food has been traditional for generations. Providing a meal for the family is a kind gesture and can be a real time saver for the family. Meals that are easy to reheat may be the best idea. The Family Night/Visitation provides for the gathering of friends and family. The visitation may take two forms, one with a family receiving line and the less formal mingling of people. The same questions may arise in either case. What is the best thing to say at this time? Telling the family how you knew their loved one and how much you respected or cared for him or her is almost always appropriate. You can share a fond memory or just express your sympathy. It generally is best to avoid phrases that can be misinterpreted such as, "He or she is better off now", "I've been through this too. ", or "Time heals all." One may want to avoid discussing the cause or manner of death. You may not need to say much; your presence shows that you care. How do I approach the family line? You may not know the entire family of the deceased. One good idea is to express your sympathies, introduce yourself, and mention your connection to the deceased to any family member you do not know. Try to keep moving. Step to one side if you are holding a lengthy conversation with a family member so people will move around you. Should I plan on visiting with the family at the funeral? 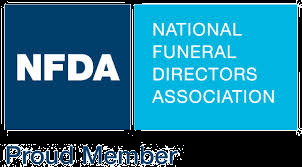 The nature of the funeral service may restrict the family's ability to meet with people attending the funeral. It may be better to plan to meet some other time if you are unable to attend the visitation. Arriving 20 minutes early will give you time to find parking and a seat. The funeral is usually more formal than the visitation. Men often wear suits or dress slacks with a tie; women frequently wear suits, dresses, or dress pants. 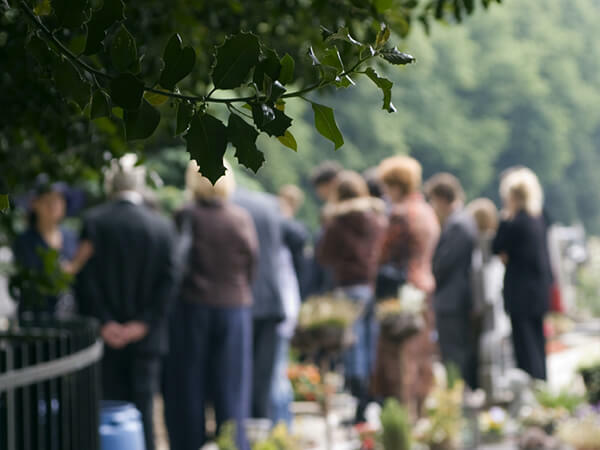 If you choose to attend the burial and will be following the funeral procession, it is important to follow instructions given by the funeral home. Where do I park to go in the procession? A staff member of the funeral home often will park vehicles and will direct you to the proper spot. Please tell the staff member if you are a pall bearer to ensure you receive proper instructions. How will I be recognized as being part of the procession? Turn on your lights and hazards if possible. Please pay especially close attention as not all drivers on the road will recognize the funeral procession.